There are many incredible things to do in Cartagena, that it’s easy to fall in love with it. This Colombian colonial town is rightly considered the most beautiful city in Colombia, and one of the most beautiful ones in South America. It’s the kind of place where you can get lost in the narrow, cobbled alleys while sipping some tropical fruit juice; where you will end up dancing salsa in the streets, or playing futbol with a team of local children. Regardless of how you spend your time, you’re bound to enjoy it. The city was founded in 1533 and soon became one of the most important cities in the region. Nowadays, it is Colombia’s largest port, and it has swelled to more than a million people. Cartagena has became a major resort city thanks to the easy access to the beautiful Caribbean Sea (going to the beach is what to do in Cartagena to escape the heat). Tourism in Cartagena is constantly growing, but thankfully the old walled town has remained pretty the same, and it’s a fantastic place to explore for a few days, or even more. In this post, I highlight all the unmissable things to do in Cartagena and share some tips to make the most of this incredible city. The first thing I do in any place I visit is going for a spontaneous walk, without anything particular in mind other than getting a feel for the city. Needless to say, this is one of the nicest things to do in Cartagena. For some reason, the old city and the atmosphere reminds me of Havana. The walled town, which is a UNESCO World Heritage Site, is full of hidden treasures: colonial style balconies pour colorful flowers onto the cobbled streets; street vendors sell their fresh fruits at street corners; locals and tourists alike sit in one of the lovely coffee shops, trying to get away from the heat. 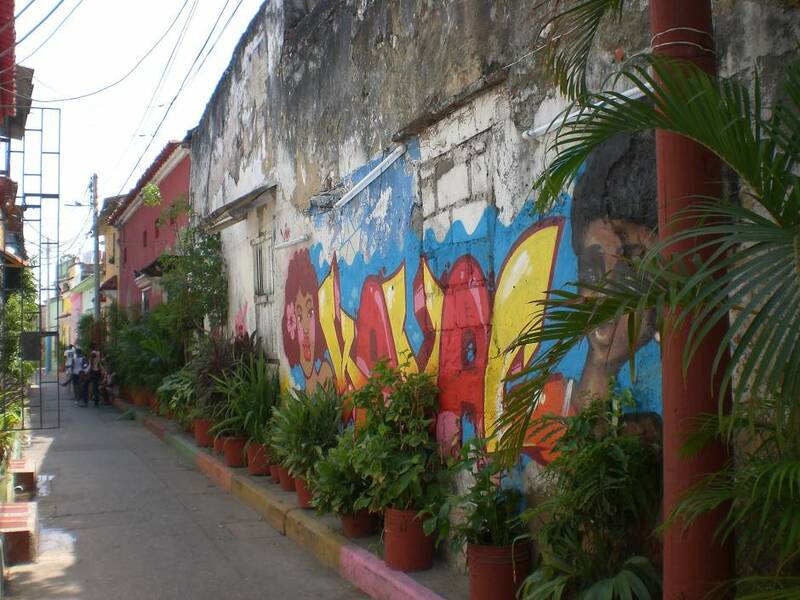 Walking along Las Murallas is one of the things to do in Cartagena. The old town of Cartagena is surrounded by thick walls that were built to protect it at the end of the 16th century, after the city had been attacked by Francis Drake. It actually took almost two centuries to complete the walls, because continued pirate attacks and storms caused much damage to the construction. One of the things to do in Cartagena to appreciate its history is visiting the Castillo de San Felipe de Barajas. Construction of this fortress – the largest ever built by the Spaniards in any of their colonies – started in 1639 and went on for 150 years. Yes, it took a long time to visit, but once it was completed the city proved to be unassailable! TIP: Among the coolest things to do in Cartagena is walking through the tunnel system at the Castillo. Make sure not to skip this! Where the Puerta del Reloj is now located there used to be the main gate to the walled city. The watch was actually added in the 19th century. Behind it, there’s Plaza de los Coches, which used to be Cartagena’s biggest slave market and where there now is a monument to Pedro de Heredia, founder of the city. This is one of Cartagena’s landmark and visiting is one of the unmissable things to do in Cartagena. If you would like to know more about the history of Cartagena and how important gold was for it, then visiting Museo del Oro Zanú is one of the unmissable things to do in Cartagena. Most of the exhibit is composed of gold and pottery that throughout time was raided from the Zanú indigenous peoples. The first expedition against them was actually organized by Pedro de Heredia, who went up the river Sinú in search of gold. The museum is open daily and there is no entry fee, and you’ll also be able to enjoy the nice air conditioning, getting a break from the incessant heat of the city. Located in the 17th century former Royal Customs House, this nice museum has a good exhibit with a collection of works of the most prominent Colombian artists. The Palace of the Inquisition is one of the nicest buildings in Cartagena and one of the best examples of colonial architecture. Today, the palace is a museum with an exhibit of instruments of torture that were used at the time of the Inquisition. 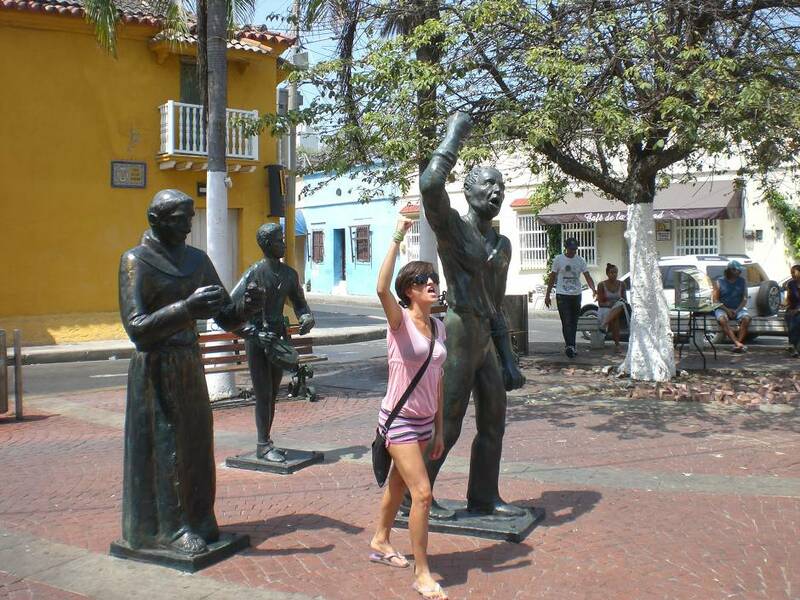 Visiting is one of the most interesting things to do in Cartagena. San Pedro Claver church has an imposing stone façade and inside there are the remains of Claver. Next to it there is a huge three floors building which surrounds a beautiful courtyard. This is the convent of Pedro Claver, a monk who lived in Cartagena in the 17th century and who made it a mission to serve to the slaves brought from Africa. A part of the convent is now an interesting museum that is open to visitors. Although the city is mostly flat, one of the nicest things to do in Cartagena is getting a panoramic view. Convento de la Popa, which was founded by the Augustinians in 1607, is built on top of a hill beyond San Felipe fortress. There is a nice chapel and a gorgeous patio filled with flowers. The main attraction, however, is the incredible view of the city. TIP: Convento de la Popa is a bit of a way and public transportation doesn’t get there. Make sure to haggle the price of a taxi: the area is notorious for robberies, and it’s better to keep in the safe side. This is Cartagena’s oldest church, whose interior is really spacious and beautiful. There’s an entry fee (unless you are going for Sunday mass), but with that you also get an audio guide in a variety of languages. Among the many buildings in Cartagena that took years to complete is the Cathedral. It was begun in 1575, destroyed by Francis Drake in 1586, and completed in 1612. There is a dome on the tower, which was added in the 20th century. It’s one of the nicest attractions in Cartagena. 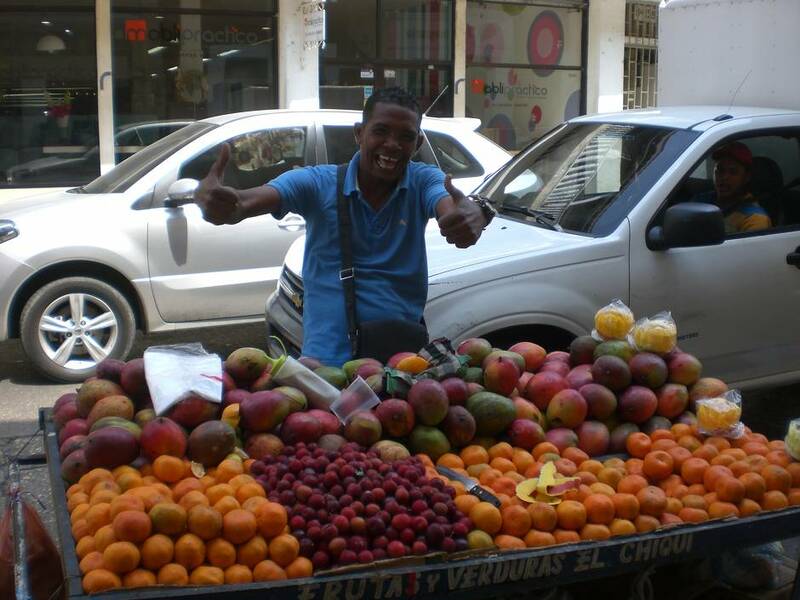 Make sure to visit the market – it’s one of the things to do in Cartagena! At around 15 minutes drive from the center of Cartagena there is a really cool market, Mercado de Bazurto. It’s massive, chaotic and – at least to the eyes of a tourist – quite dirty. Yet, it’s an incredible place to get some local action, not to mention to buy some fresh fruits and vegetables. Visiting is, quite simply, one of the most fun things to do in Cartagena If you aren’t comfortable exploring on your own, you can actually take a guided tour. Much like the rest of South America, Cartagena has an incredible street food scene. Whether you have a preference for healthy snacks of fresh fruit or would rather go for something greasy, filling and oh so tasty, there’s something for you. The go to place for street food is Getsemani, a nice part of the old city which is actually outside of the city walls. There, in Plaza Trinidad, there are lots of small restaurants and so many good street food vendors. In case you need a break from all the fried food that you can have in the street, having ceviche is what to do in Cartagena. This delicious, marinated raw fish dish has lots of lime and fresh flavors, and it is common in all of South America – and even more so in a city that has an abundance of fresh fish thanks to easy access to the sea. The best place in Cartagena for ceviche is La Cevicheria. One of my favorite areas of Cartagena is Getsemani, which is the old city right outside the city walls. Once an area of prostitutes and drug dealing, it’s now been restored to its old splendor and it’s a maze of narrow alleys where the most common scene in the early afternoon is that of locals sitting right outside their house, trying to catch a bit of breeze and have a break from the heat. At night, Plaza Trinidad, the heart of Getsemani, gets packed with street food vendors; bars open up and start pouring beer, and the actual square becomes a football ground for children. It’s a lovely area to hang out, really – it’s one of the nicest things to do in Cartagena. 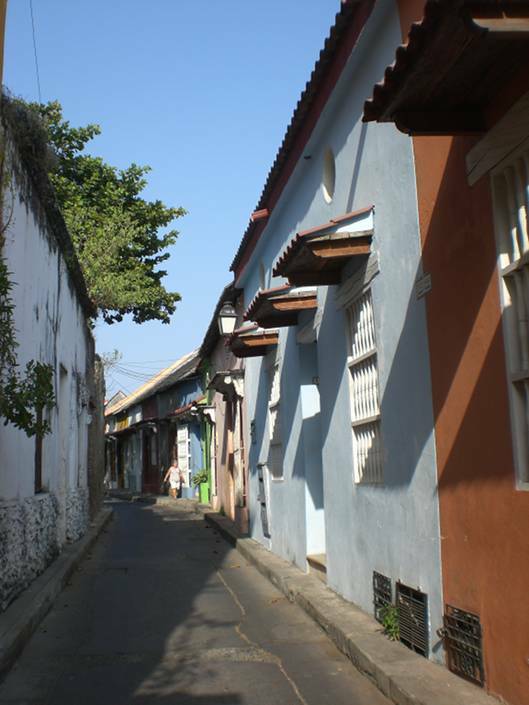 You can even go on a guided tour of Cartagena. You can book it here. In its restoration process, most of the walls of Getsemani were painted with some beautiful murals and this part of Cartagena is now packed with incredible street art. One of the nicest things to do in Cartagena is going street art hunting. Cartagena is hot. I mean, it’s so hot and humid that you’ll get exhausted and probably end up dragging yourself from place to place, and at times all you’ll want to do is sit somewhere with air-con and a cold drink at hand. When the sun goes down, one of the things to do in Cartagena is heading out for a much deserved refreshing sunset drink. The best place for a sunset drink is Café del Mar – the combination of excellent cocktails and incredible views make it a very popular spot. Should you want to admire sunset but would rather go for a more intimate experience, one of the things to do in Cartagena is going on a sunset cruise. They normally last around two hours and depart from the marina. Located in Getsemani, Media Luna is a lovely hostel in a colonial building that has an incredible rooftop lounge and a small yet nice pool. It’s a party hotspot, and if you are keen on some night time fun, this is the place to go in Cartagena. It goes without saying that where there’s party, there’s no sleeping – so staying at Media Luna hostel if you plan on going to bed early is not one of the things to do in Cartagena. An incredible way to experience nightlife in Cartagena is dancing salsa. If you are a keen dancer, this is one of the most fun things to do in Cartagena. If you are not, you may want to join a class, such as those offered by Crazy Salsa in Calle Tumbamuertos, or a tour to learn the basics – fun is guaranteed! In case you are looking for more fun things to do in Cartagena, make sure to go partyon a Chiva. It’s a bus (yes, really!) where you are likely to get live music, a good cocktail and lots of dancing. The bus goes bar hopping, making stops at various salsa bars around town, and eventually stops at a larger salsa club where you can continue dancing. You can ask your accommodation to arrange a chiva tour for you. Las Bovedas are 23 dungeons that were built in the defensive walls on the northern tip of the old city towards the end of the 18th century. They were meant to have military purposes but today they are tourist shops and visiting is what to do in Cartagena if you are after souvenirs and local crafts. The Caribbean Sea is packed of dreamy beaches (I have seen some incredible ones in Antigua), and Cartagena beaches are beautiful for sure. Spending a day at the beach is one of the nicest things to do in Cartagena, not to mention a great way to get a break from the heat and chaos of the city. Playa Blanca, located at about 20 km south of Cartagena on Isla de Baru, is one of the nicest beaches in the area: it’s a white, sandy beach with incredibly clear turquoise waters. You can get your own umbrella and chairs, and grab food and drinks from the many vendors on the beach. A day trip to visit the beaches is a must! 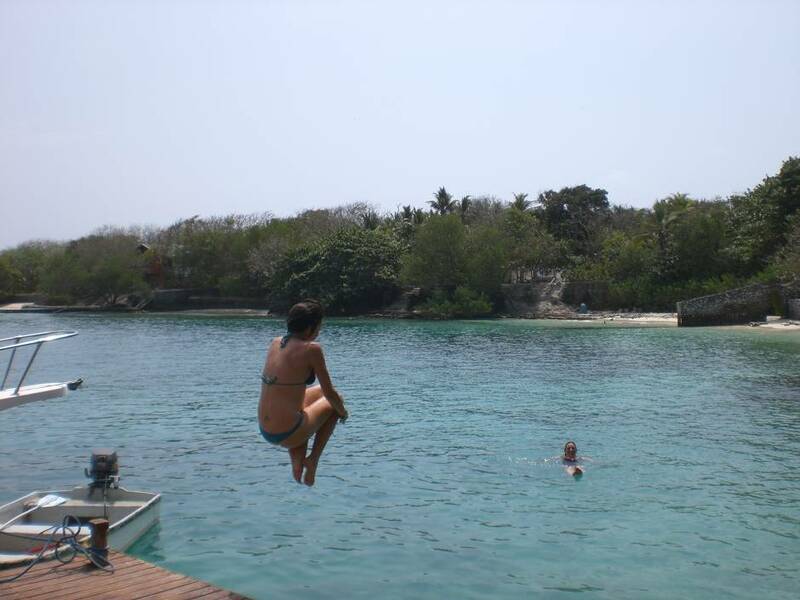 At about 35 km south of Cartagena there is an archipelago of 27 small islands called Islas del Rosario. Some islands are so small that they literally only fit one house. 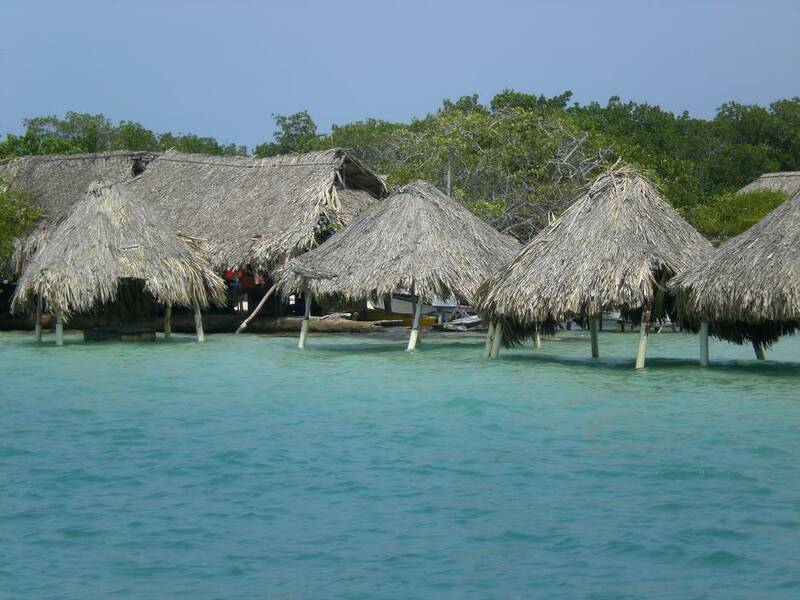 One of the nicest things to do in Cartagena is going on a day cruise to these islands. 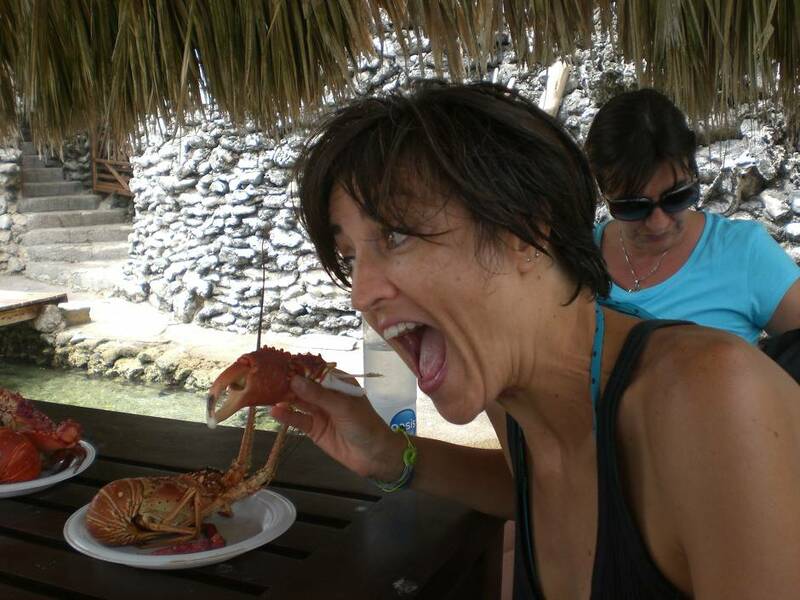 Cruises live from the Muelle Turistico and usually involve lunch (the lucky ones get freshly caught lobster!) and lots of snorkeling in the incredible waters. One of the most unique things to do in Cartagena if you want to get out of the city is going to El Totumo, a volcano crater at about 50 km northeast of the city. The interesting thing about it is that instead of lava, it actually spews out mud. There, you can climb to the top using the stairs, then head down to the crater and have a mud bath – the mud apparently has therapeutic properties, much like that of the Dead Sea in Israel. Afterwards, you can go wash the mud off in the lagoon. Hotel LM A Luxury Boutique Hotel is a fantastic small hotel located in the heart of the old town. Click here for the latest rates and here for reviews. Bourbon S Hostal Boutique is a lovely boutique hotel with conveniently priced rooms. Click here for the latest rates and here for reviews. Hostal Casa Roman is a great option for travelers on a budget. Click here for the latest rates and here for reviews. Check out my detailed guide on the best places to stay in Cartagena. 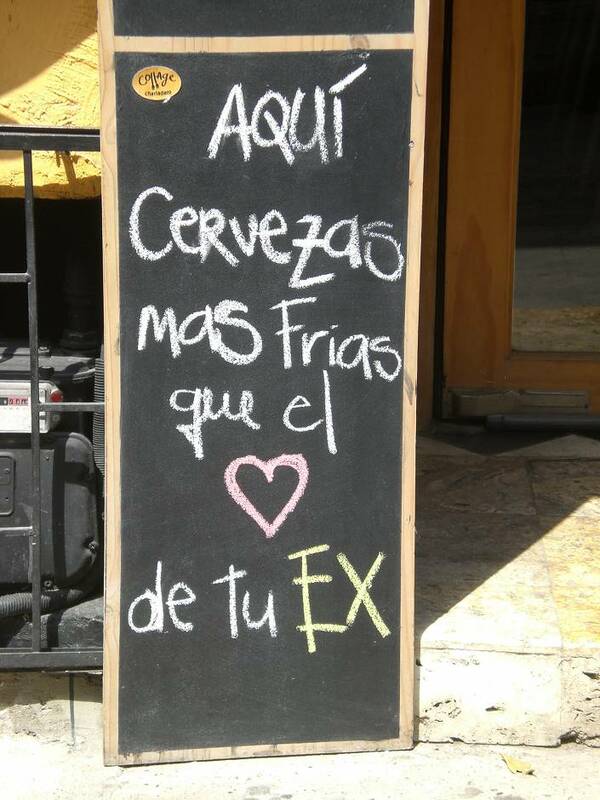 There is no escaping the heat in Cartagena. This part of Colombia is typically hot and humid – though you can count on a bit of breeze in the late afternoon. There is a rainy season, but keep in mind that rain is common in the Caribbean even when it’s supposed to be the dry season. Cartagena has a well connected airport with flights to Bogotà (read more about Bogota in this post) and the rest of the country and even international flights. To get from the airport to the city, you can hop on a colectivo, get a taxi, or book your private transfer here. Cartagena is also connected to the rest of Colombia through a good bus system. It’s always better to buy your bus tickets in advance, as this is a common means of transportation in Colombia. Keep in mind that for some reason the air-con on the bus is kept very low, and you may well freeze there, so make sure to carry a good jacket, especially if the trip is long. Finally, you can get to Cartagena by boat. Sailing boats regularly connect Cartagena to Panama via the San Blas islands. The trip lasts around 5 days and the prices vary depending on the company, but it usually is a minimum of $500 USD. This is not something you want to do if you get sea sick (you may want to read about my experience sailing San Blas) – the Atlantic Ocean can get very rough! Cartagena is safe, but you should beware of scams. Make sure you also get a good travel insurance. You can check the prices here. Have you been to Cartagena? What are the things to do in Cartagena that you enjoyed the most?